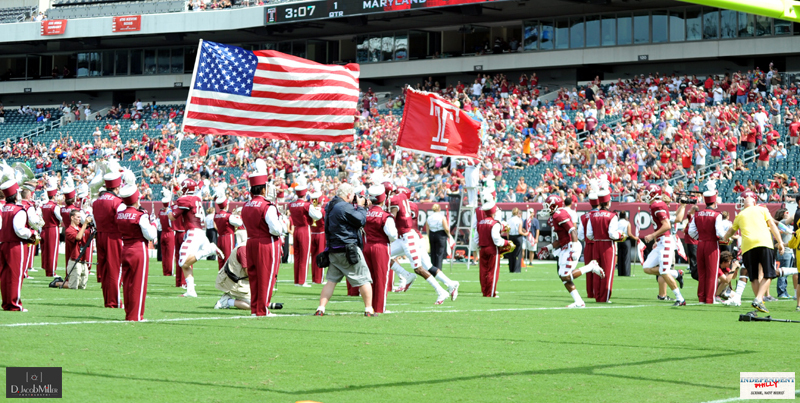 The (1-0) Temple Owls, coming off of a season-opening decisive win over the Villanova Wildcats, hosted the (1-0) Maryland Terrapins , (who narrowly edged the William & Mary Tribe in their opener) on Saturday, September 8th at Lincoln Financial Field (12pm start). 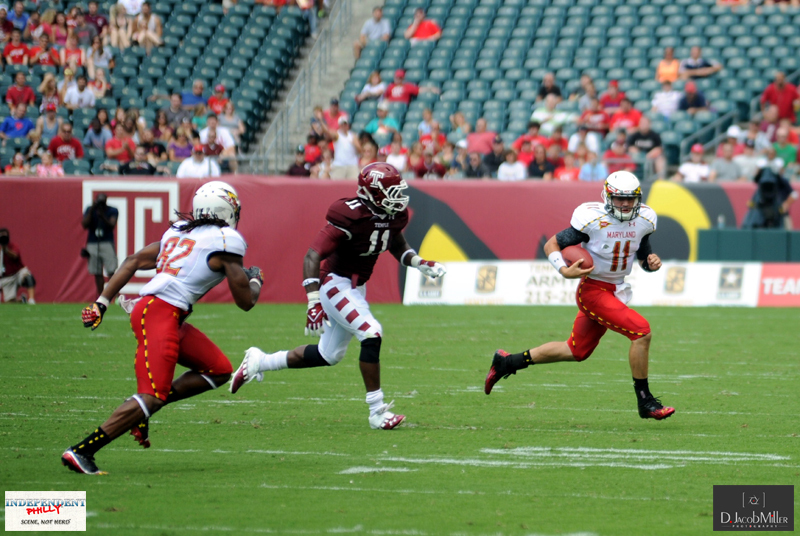 Last season, Temple beat the Terrapins by a score of 38-7 at Byrd Stadium. 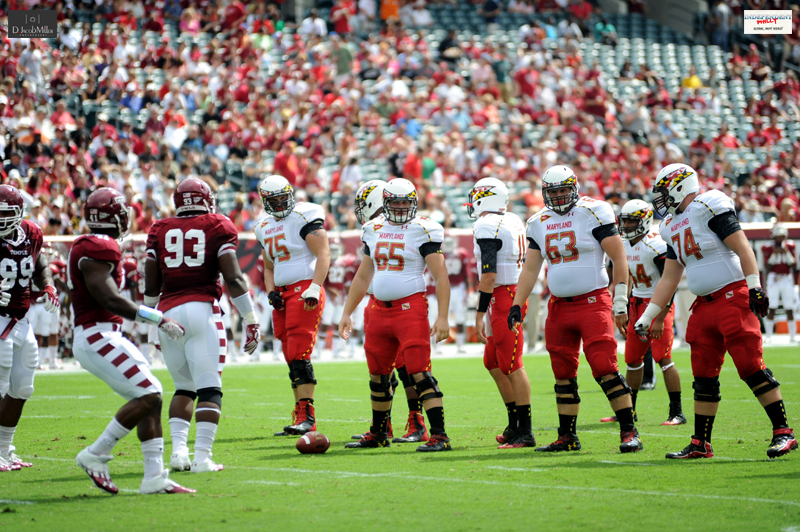 Overall, Maryland held a 6-1 series lead heading into the game. 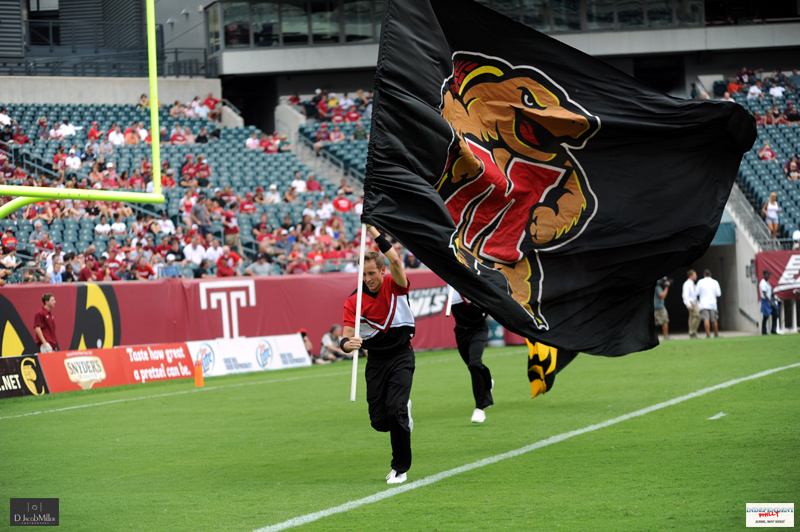 The Owls turned the ball over on its first play from scrimmage when Matt Brown fumbled and Maryland recovered at the Temple 24 yard line. 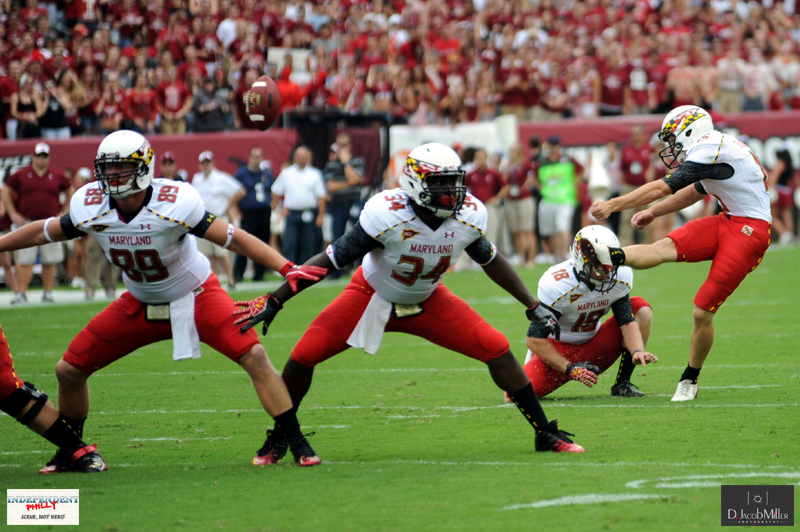 Maryland was unable to take full advantage of the great field position and ended up settling for a 45 yard field goal by Brad Craddock. 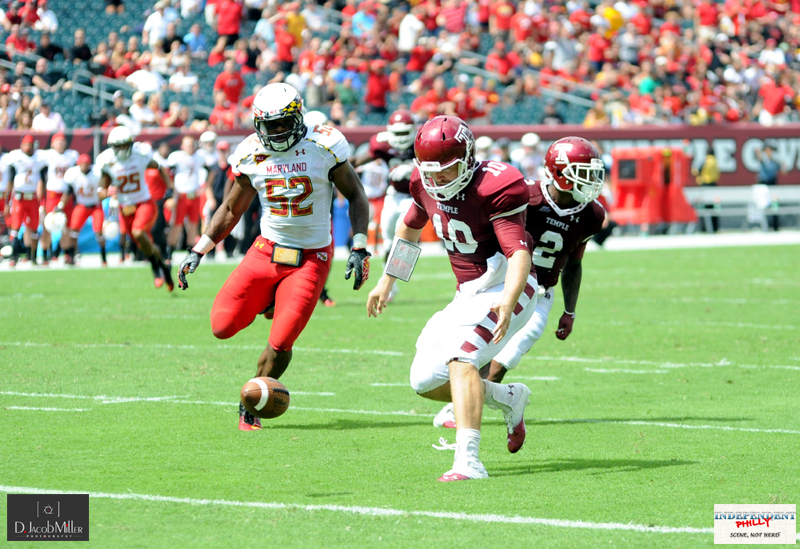 On their next possession, the Owls again coughed up the ball, with QB Chris Coyer being the culprit. 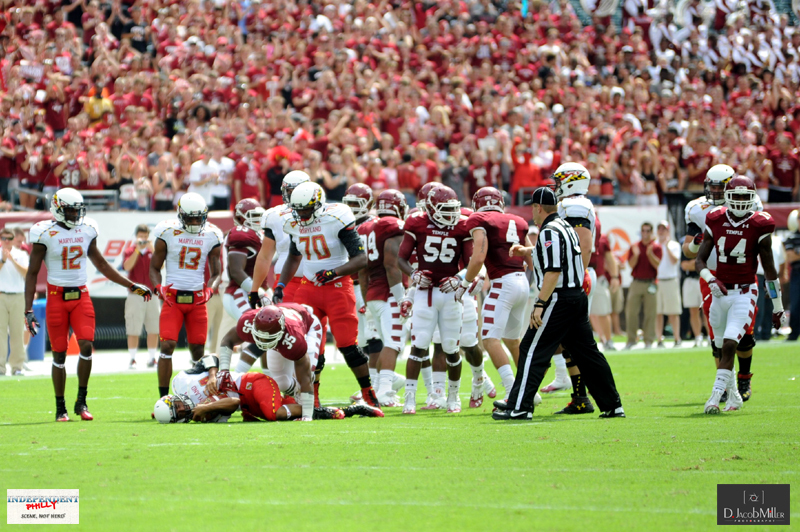 Maryland’s A. J. Francis recovered the fumble. 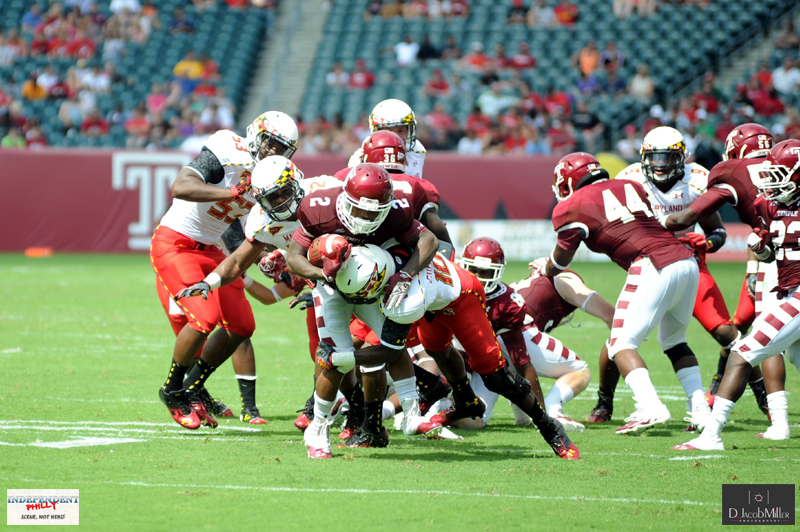 The Terrapins fumbled the ball right back to Temple’s Olaniyi Adewole, three plays later. 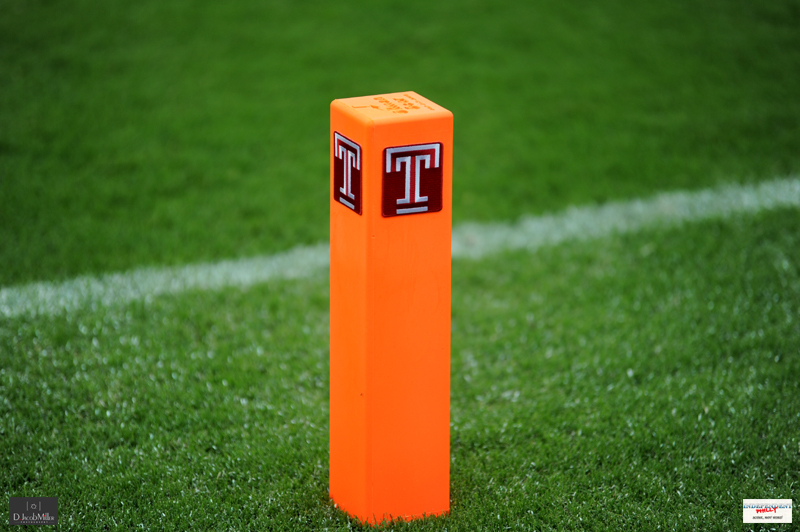 Temple took advantage of the Terrapins miscue by converting a 36 yard field goal by Brandon McManus to tie the score at 3-3 at the 6:39 mark of the first quarter. 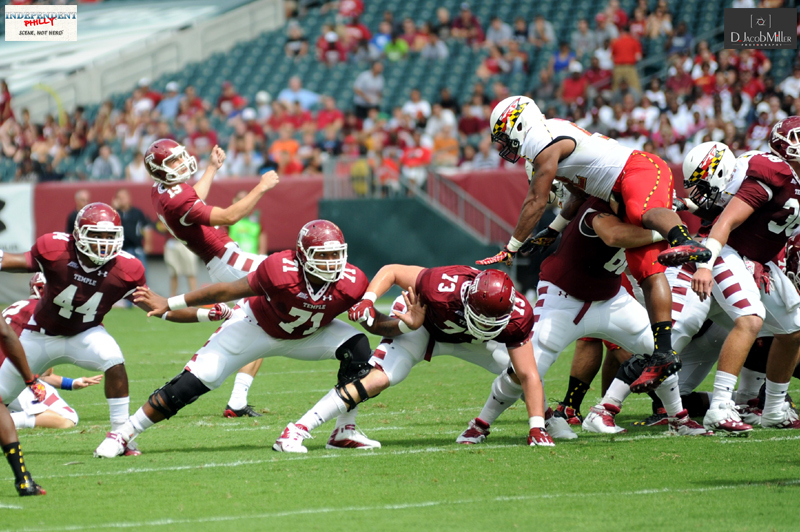 Maryland regained the lead early in the second quarter when freshman QB Perry Hills hit tight end Matt Furstenburg for a 22 yard touchdown to culminate a seven play, 57 yard drive. 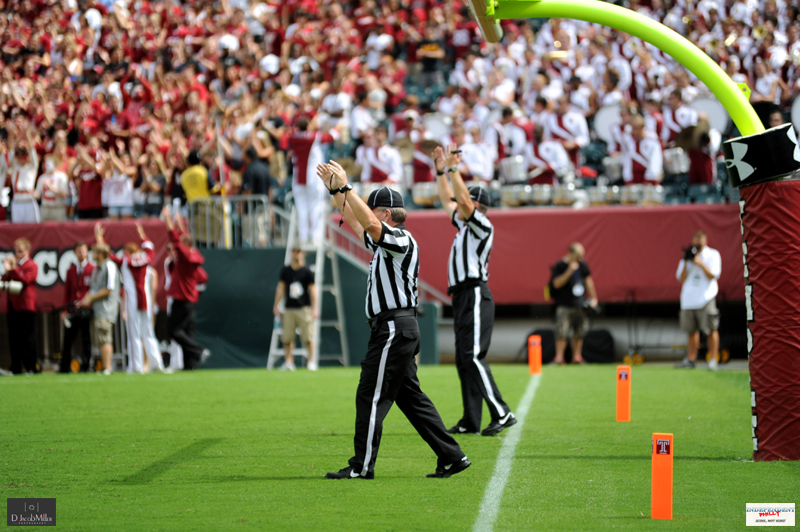 The touchdown toss was the first of Hills’ college career. 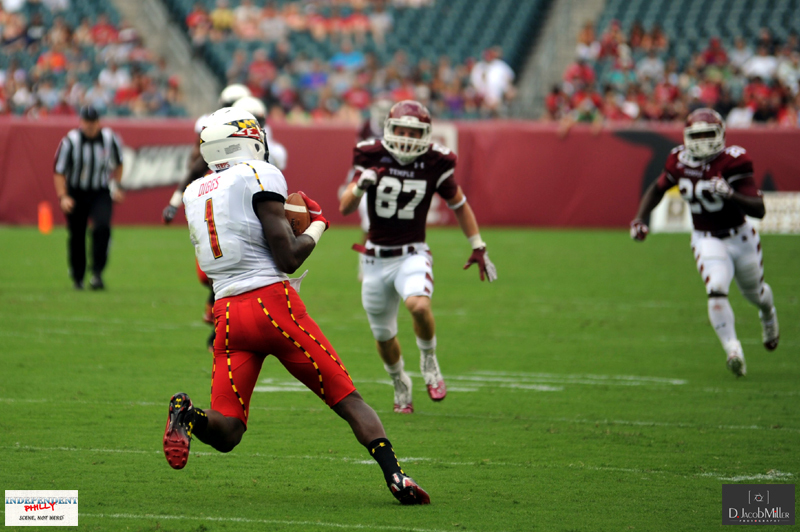 Maryland struck again with 6:19 left in the first half on a 32 yard pass from Hills to wide-out Marcus Leak. Less than a minute later, on a bad snap, Maryland downed Coyer in the end zone for a safety, putting the Terps up 19-3 with 5:30 left in the half. 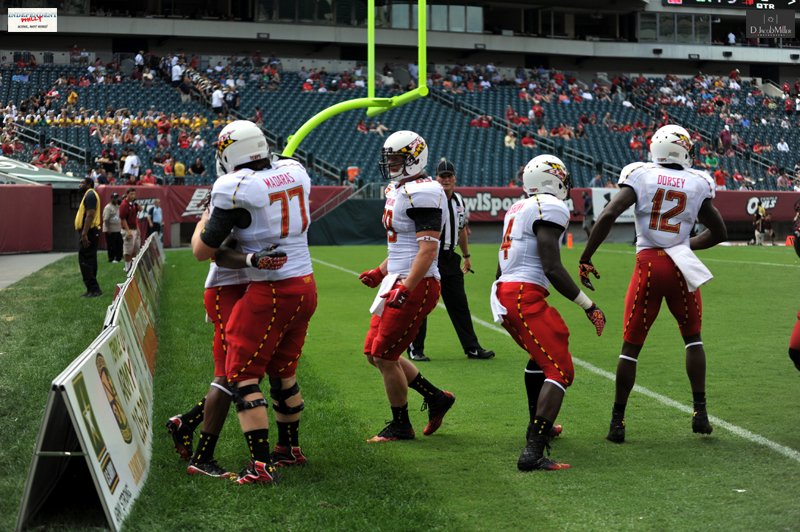 Maryland scored again on an 11 yard run by Hills on a broken play. Hills scooped up a bad snap and ran it in for the touchdown. 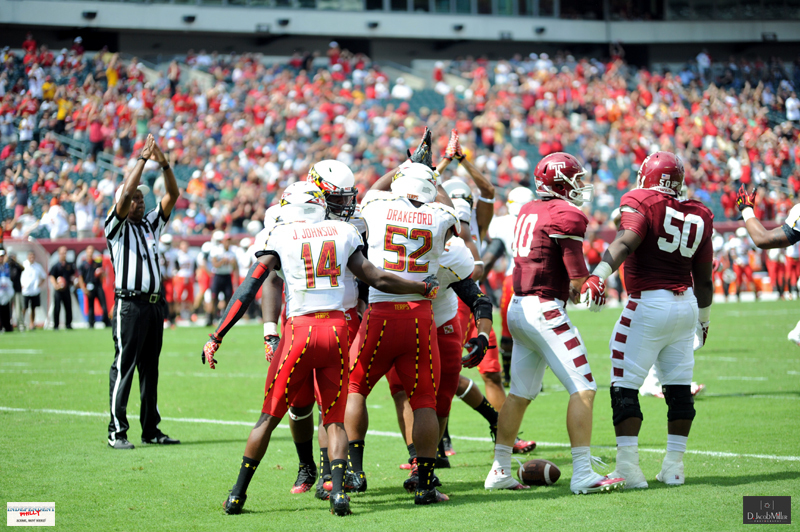 Following the Craddock extra point, the Terps led 26-3. 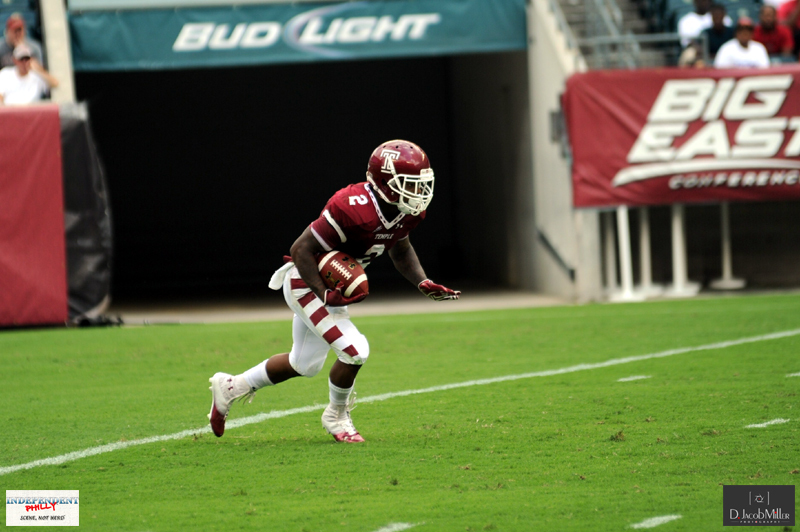 Temple had a first half that would give any coach nightmares. 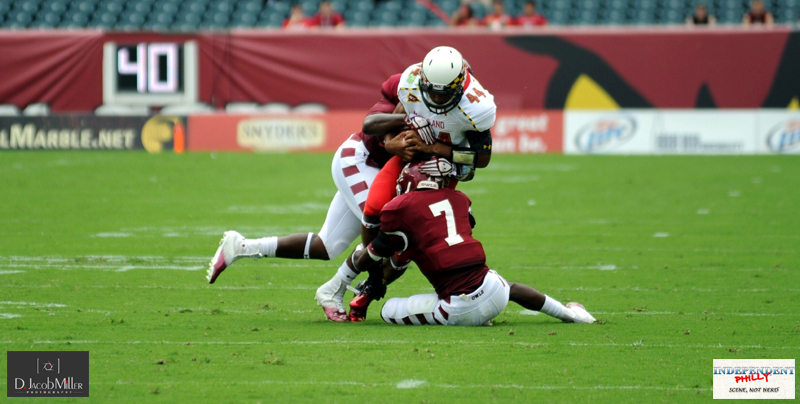 The Owls had three fumbles (two recovered by Maryland), a bad snap resulting in a safety, and several costly penalties. Maryland, to its credit, took advantage of most of the Owls mistakes and consequently went to the locker room at the half with a surprising 23 point lead. 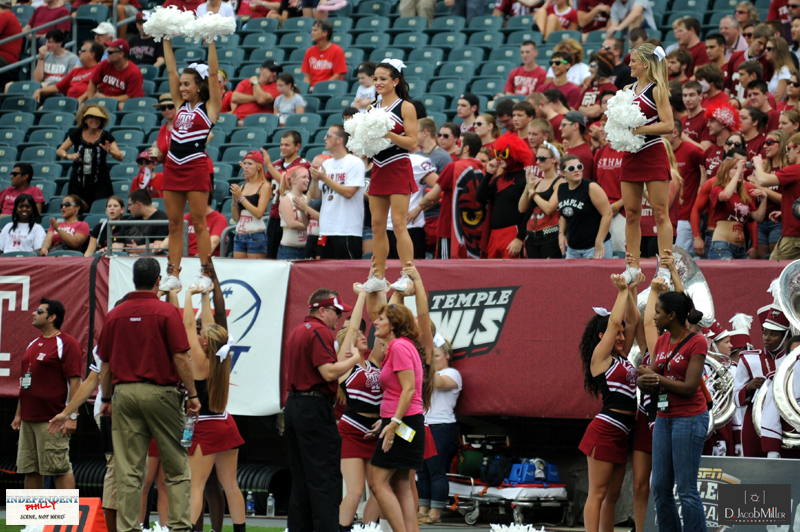 the Temple Owls mounted a furious second half rally and came within two points of the Maryland Terrapins 29-27, before succumbing by a final score of 36-27. 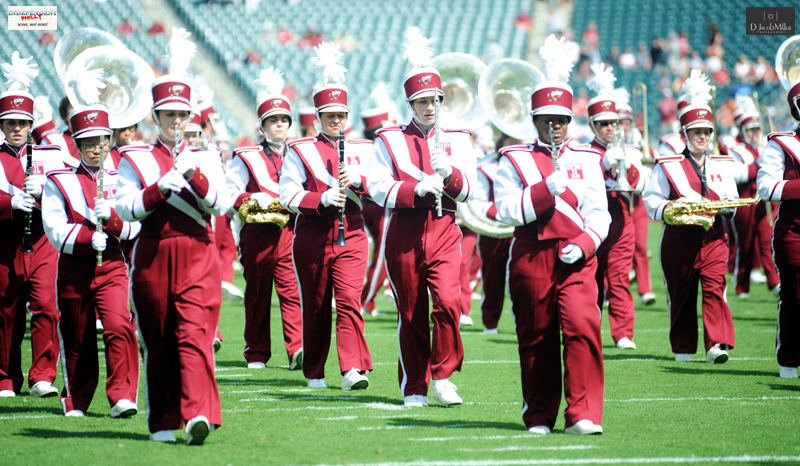 With the loss, Temple’s record fell to 1-1. 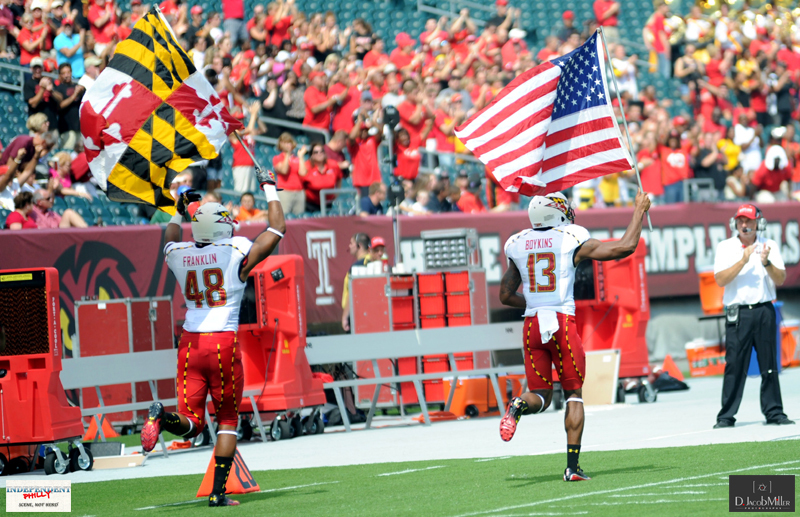 Maryland remains undefeated with the victory and now sits at 2-0 on the season.